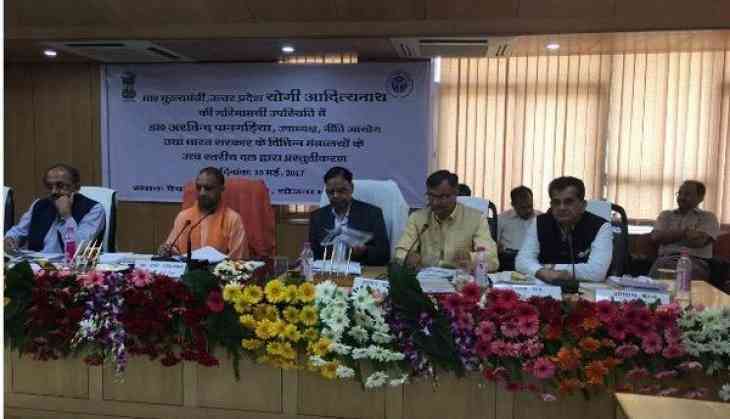 In a meeting with Uttar Pradesh Chief Minister Yogi Adityanath, the NITI Aayog on 10 Maypresented a road map on possible techniques that the state could embark on to move towards development and reach the end of becoming a modern state. The main objective of the meeting was to attract investors in Uttar Pradesh back by carrying on development projects in various sectors. The Aayog had been asked by the Prime Minister's Office (PMO) to provide a blueprint for development and transformation of Uttar Pradesh, where BJP won the assembly elections with a thumping majority in March. The delegation also took feedback from officials of the state government to form a collective agenda. The meeting is first of its kind where state specific measures are being suggested to a Chief Minister by the NITI Aayog on the development programs and strategies to be adopted to improve the social as well as economic indicators.